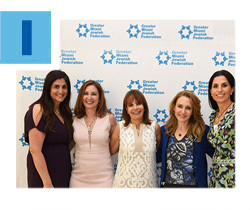 Women’s Philanthropy of the Greater Miami Jewish Federation held its Annual Meeting and Installation Brunch this past Wednesday, a meaningful and inspiring event at The Sacred Space. The event celebrated the achievements of the outgoing Board members and honored Sheree Savar, who finished her term as President. Mazel tov to Sara Bejar, incoming President, and Ilene Kossman, Campaign Chair, and to all the Executive and Constituent Area Boards who were installed. Guest speaker Dr. Felicia Knaul, Director of the University of Miami’s Institute for the Advanced Study of the Americas, shared how being the daughter of a Holocaust survivor guides her life’s work and passion. Read more. The Network, Federation's under-45 connection, recently gathered a group of young Jewish leaders for an inspiring tour of Federation partner agencies in Miami. Led by Network Campaign Chair Alexandra Lehson and Network365 Co-Chairs Leah Aaronson and Yosef Shwedel, they visited the Holocaust Memorial Miami Beach, the JCS Kosher Food Bank and the Michael-Ann Russell JCC, witnessing firsthand the local impact of the Annual Federation/UJA Campaign. Many of the participants are new to Miami and looking for ways to connect with and help serve the Jewish community. The group left motivated to continue their work with Federation. 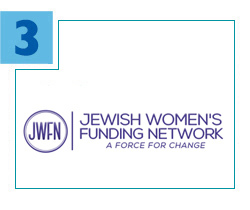 A delegation of Miami Jewish women leaders represented Federation at the 10th Annual Jewish Women’s Funding Network’s (JWFN) Force for Change Conference held recently in New York. The event focused on various philanthropic strategies to improve the quality of life for women and girls in Israel and in Jewish communities throughout the United States. 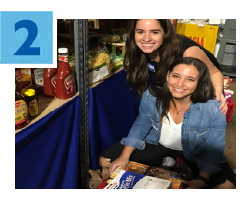 Of the 25 member organizations comprising JWFN, the Greater Miami Jewish Federation is the only one that allocates grants for causes focused on women and girls locally and in Israel directly through the Annual Campaign. Read more. 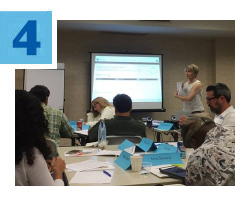 Federation’s Jewish Community Relations Council (JCRC) recently hosted 20 teachers from Miami-Dade County public schools in a workshop to help introduce Israel and Jewish-related content into curricula for junior high and high school students. The workshop, entitled “A Historical Perspective on the Arab-Israeli Conflict and Peace Process,” was presented in partnership with the Institute for Curriculum Services (ICS), a non-profit project of San Francisco’s JCRC and the Jewish Council for Public Affairs. Read more. Discover a remarkable and life-changing volunteer opportunity through the Educator Volunteer Network. 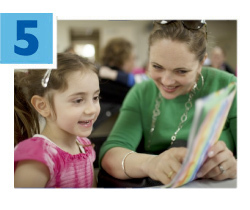 Now in its second year, the joint effort between Federation’s Jewish Volunteer Center (JVC) and the Center for the Advancement of Jewish Education (CAJE) focuses on helping local children who need additional educational assistance. Volunteers will be matched with a Jewish day school in Miami for an eight-week partnership. Training is provided and matches are based on each applicant's skills and the school’s needs. Applications are due by Thursday, May 25. For more information, contact JVC Director Lori Tabachnikoff at ltabachnikoff@gmjf.org or 786.866.8680.